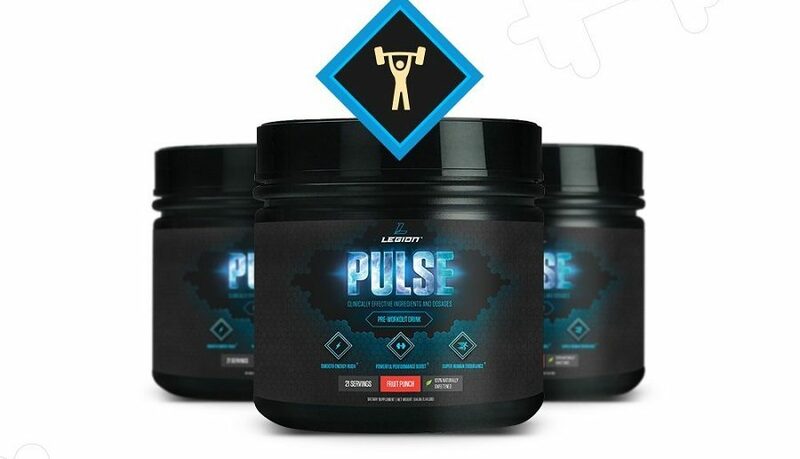 The Legion Athletics Pulse Pre Workout is one of the potent formulations on the market which is recommended when you need the top energy levels you can source from supplements. It comes with a combination of amino acids and caffeine but it’s the quantities which really impress with the supplement. 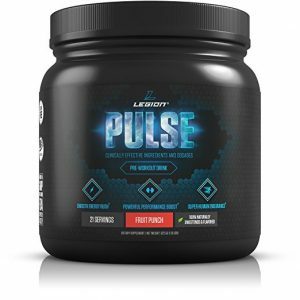 This is why it is important to note that this pre-workout powder with no creatine comes with 8 grams of Citrulline which makes it a leader from this perspective. With 4.8 grams of Beta Alanine, the product proves to be one of the strongest formulations on the market. 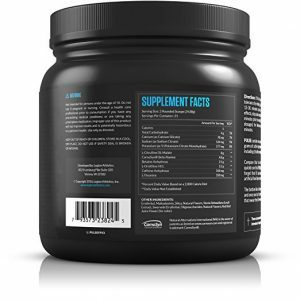 The pre-workout comes with 21 servings which should cover about a months’ worth of use. It represents a strong solution from all angles and this is why its main orientation is towards the dedicated users. Even more, it also works great when it comes to an energy which lasts slightly longer than the alternative products’. This is why it can be a top option for experience athletes or those who train every day. Furthermore, the product is based on proven ingredients. One of them is Citrulline. With an impressive 8 grams of Citrulline, the pre-workout manages to offer a real solution when it comes to better overall energy output. Even more, it also works great when it comes to added energy from Beta Alanine. In this area, it still is at the same level with the most concentrated solutions on the market. With its 4.8 grams of Beta Alanine, it represents a top solution when it comes to improved energy. Furthermore, it also represents a great option when it comes to improved overall focus as both these amino acids are known for their benefits in the area of cognition as well. The pre-workout cannot be complete without caffeine. With nearly double the amount of caffeine than the competition’s solutions, the pre-workout manages to deliver and impressive overall result when it comes to better energy and focus. At the same time, the product might not be the best solution if you already drink coffee. One simple solution if you train in the morning is to simply skip your regular coffee intake. At the same time, you cannot really expect the product not to come with extra energy when you drink it. This is why it is not recommended if you train in the evening as you might have a difficult time falling asleep after your workout. With one of the strongest formulations on the market, the pre-workout manages to offer a great overall solution when it comes to improved energy which stands out in terms of concentration. This is why it is fully recommended for the experienced people who know they can handle the increased concentration of the ingredients and who can also safely use it for the long-term. With an impressive Citrulline content, the pre-workout is a great solution for explosive energy. Find more on our Best Creatine Free Pre Workout top list.